Ashley Vazquez is returning to FGO for a second season. She completed her Master of Music degree in Collaborative Piano at the University of Michigan under the direction of Martin Katz. She has served as a coach/ répétiteur for Ashlawn Opera Festival, Opera in the Ozarks, University of Michigan Opera Theater, Interlochen Center for the Arts, in addition to having spent two summers studying collaborative piano at Brevard Music Center. Ashley has also collaborated with Arizona Opera while completing her undergraduate degree in piano performance at Northern Arizona University. 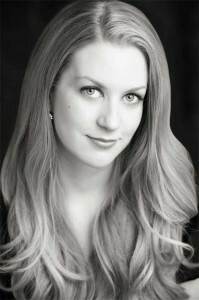 Ashley’s repertoire includes works such as La Bohème, Le Nozze di Figaro, Carmen, Cosi fan Tutte, Don Giovanni, Albert Herring, Pagliacci, Lucia di Lammermoor, and Il Barbiere di Siviglia. She is also an avid choral accompanist, having rehearsed works including Mozart’s Mass in C minor, Carmina Burana, and Verdi’s Requiem. Her orchestral performances include I Pini di Roma (under the baton of Keith Lockhart) and Petrouchka.